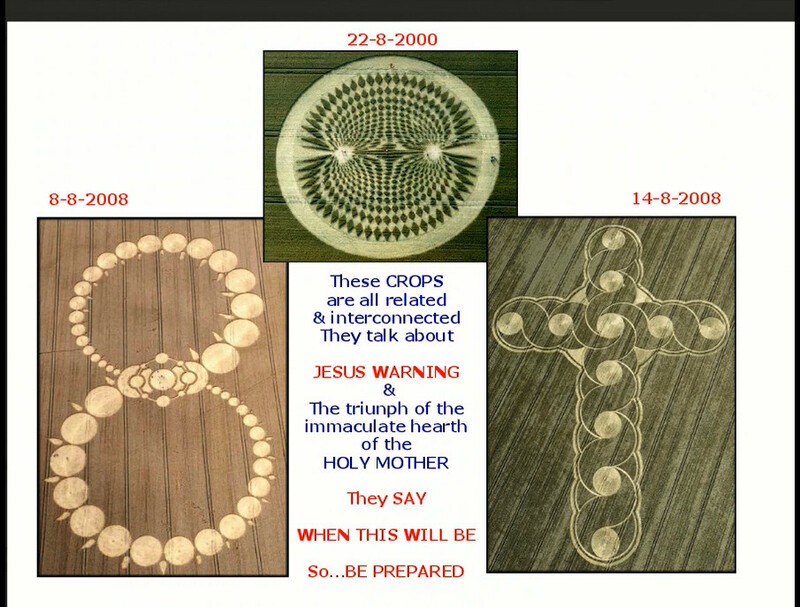 "Signs i will show both above and below " A warning for all to know that on these dates God will be making his moves to show and Save the earth from its evil anti christ holds !! 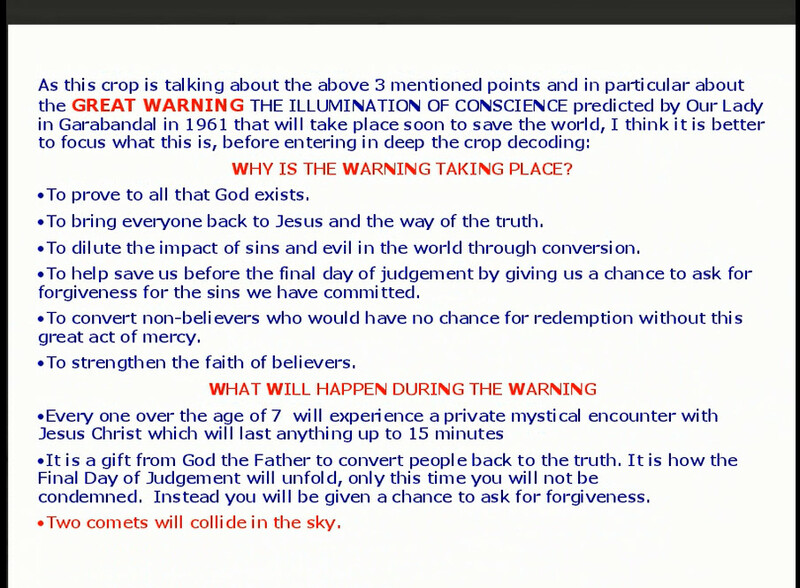 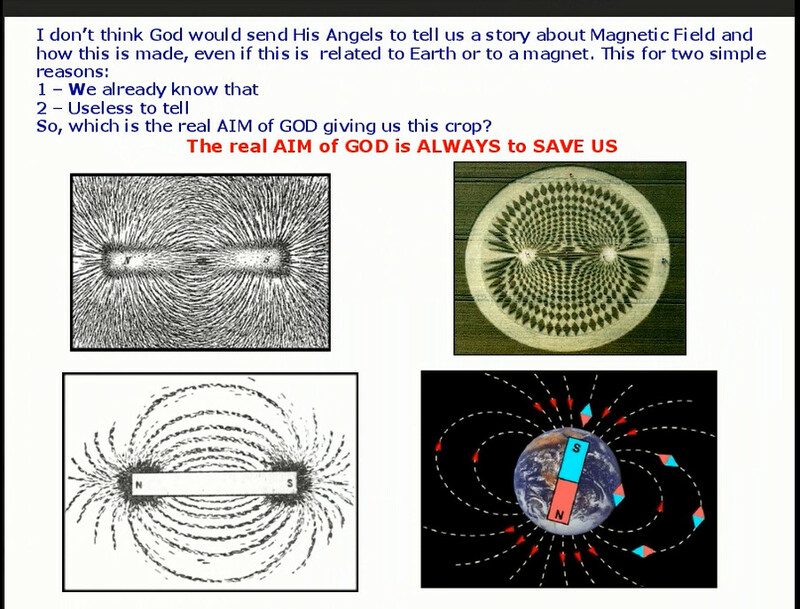 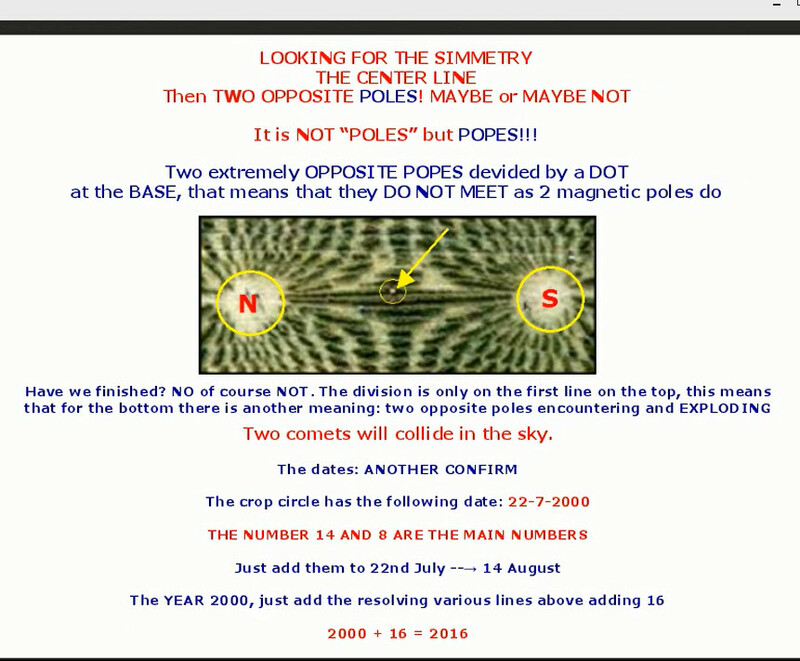 �From Roberto in Italy again we can heed the decoded messages and we bring this report with the aim of informing that the Lord and the Angels have clearly shown us and pre warn that an event of Massive proportions will be shown both above and below, which will scare and freeze grown men in there tracks. 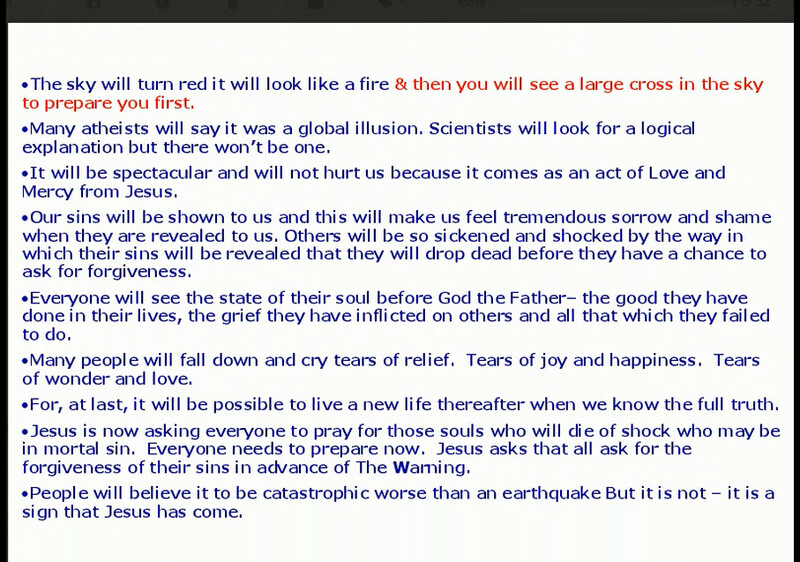 The Message Is "DO NOT BE AFRAID" Good will be saved whilst the evil ones will be destroyed.. �HOW Can such a message be shown without those evil in control blocking or preventing? 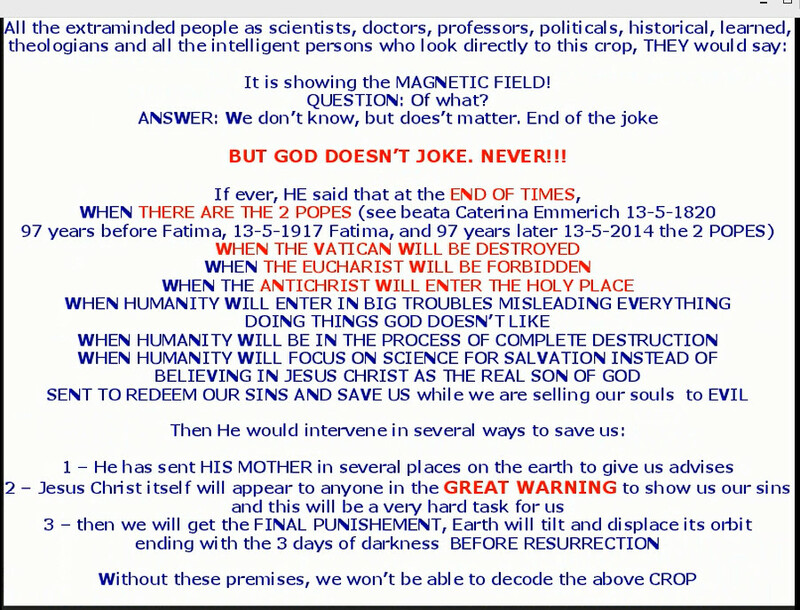 �SIMPLE , �Do the messages in such deep but obvious ways that only a few can interpret them, and have the Anti Christs army not spot.. 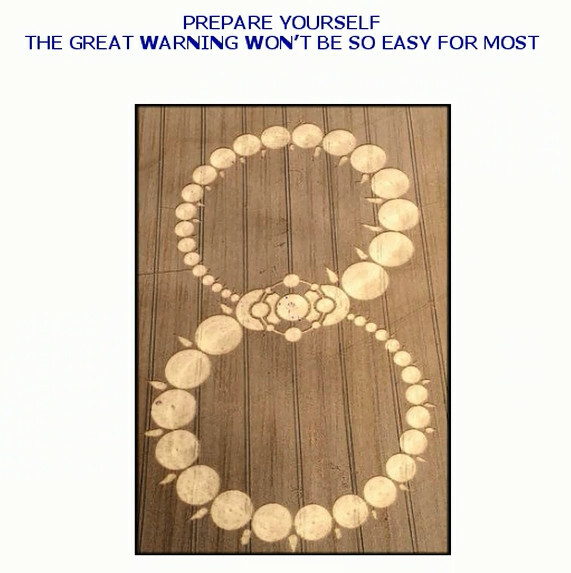 ENTER THE REVEAL OF THE GREAT WARNING .. 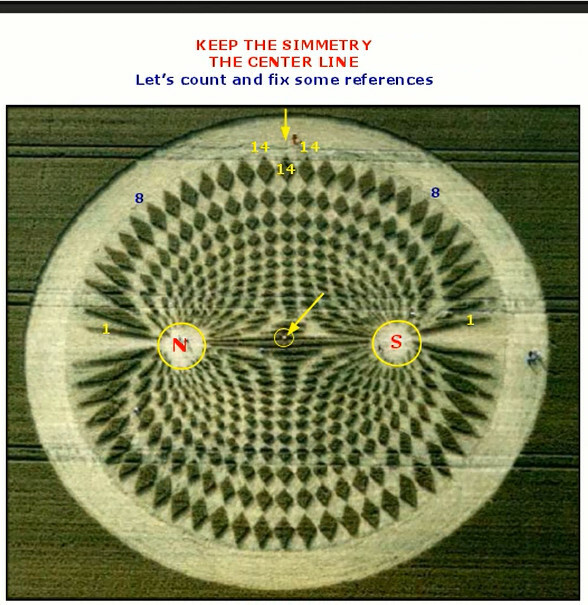 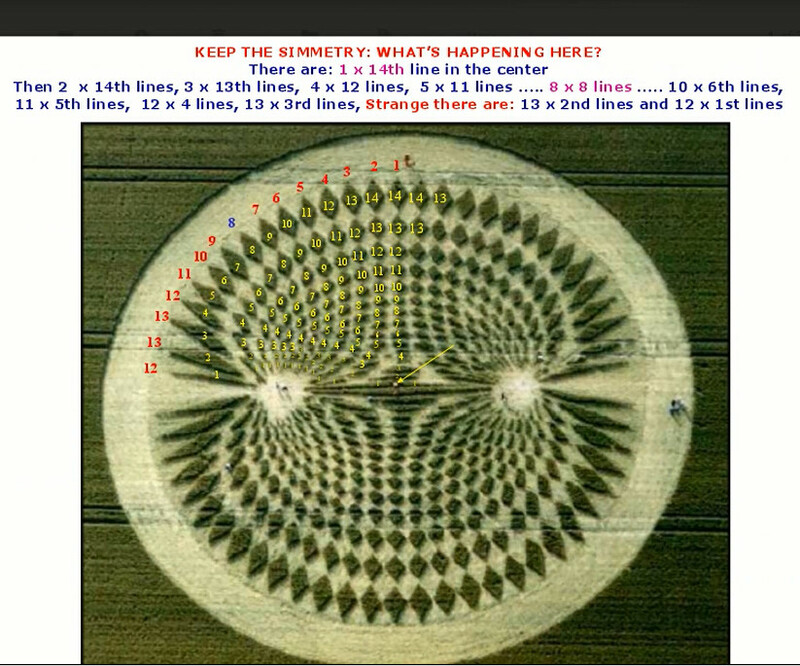 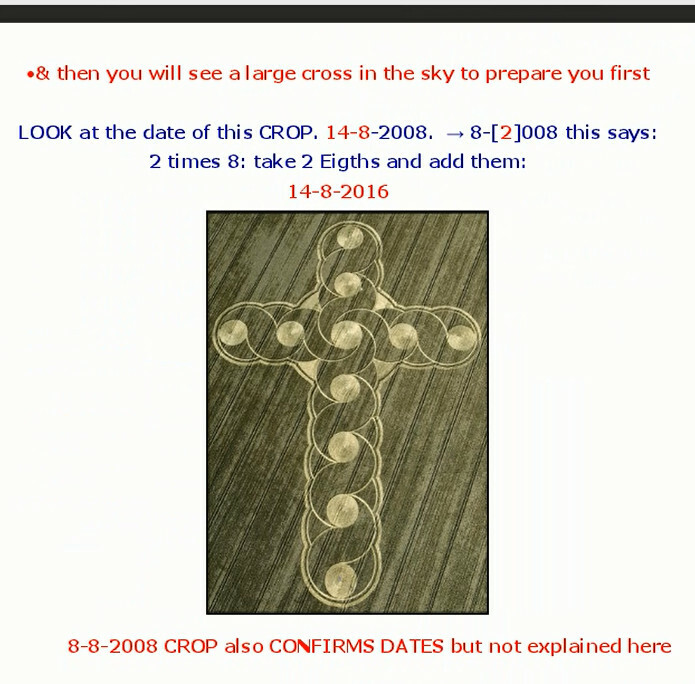 This Crop Circle made on 22-7-2000 �the date in itself is a Clue .. �MANY Took this as just a simple flashy crop circle showing the understanding of earths magnetics ? 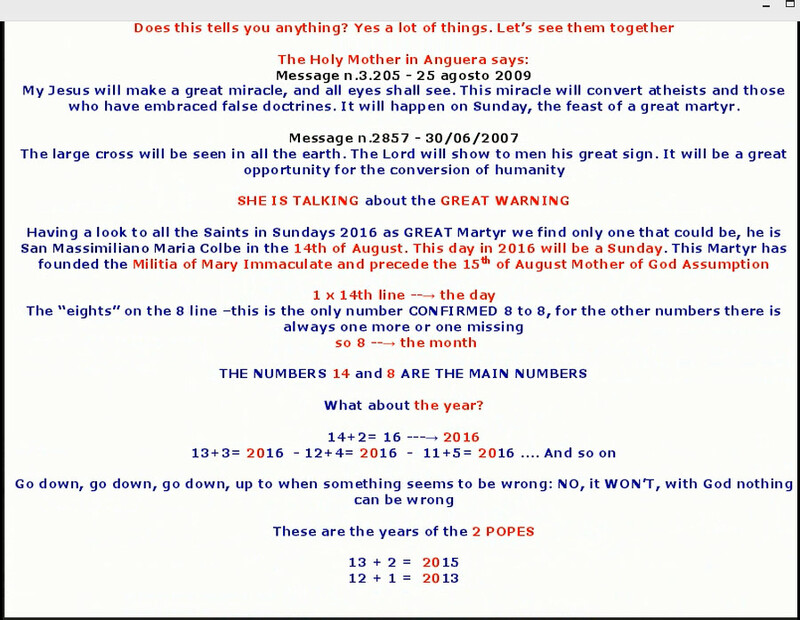 �Well Like Roberto explains are you all so simple to think that they think we need showing basic stuff ? 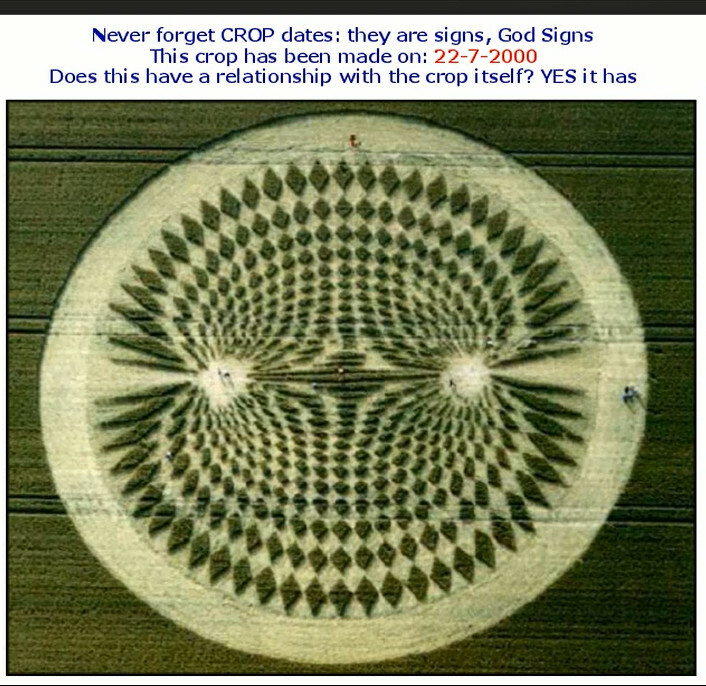 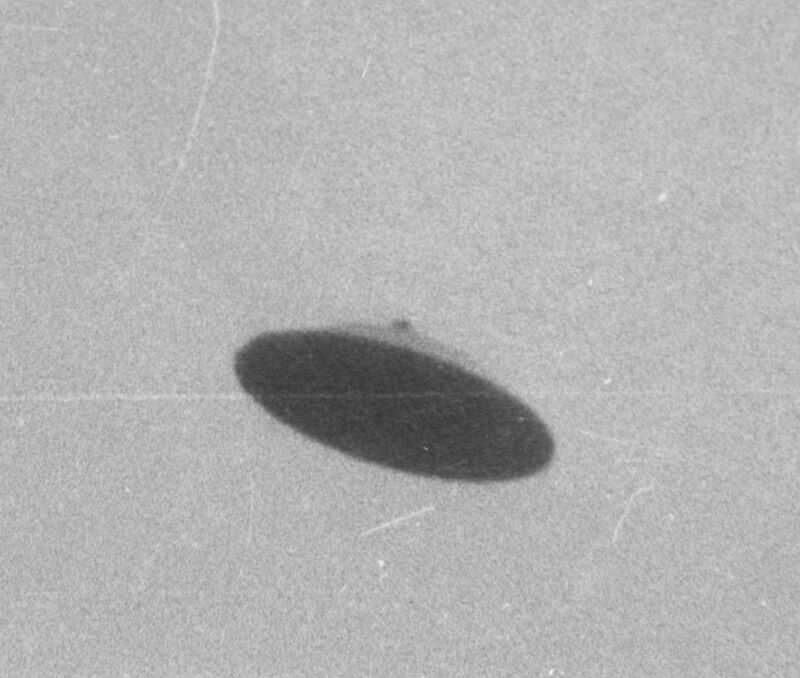 �NOPE �This is a very important crop circle as Roberto will show and explain..